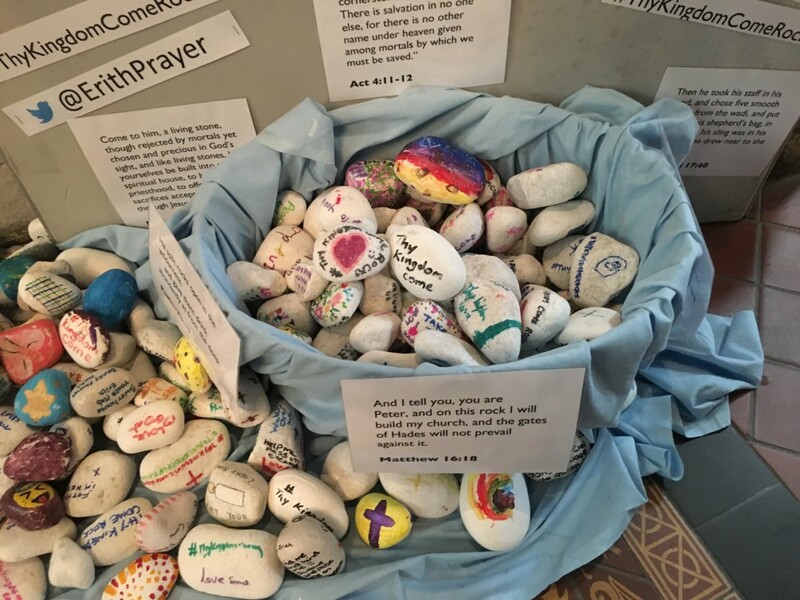 Over 300 prayer events took place in Church of England churches across north west Kent, Medway and the London Boroughs of Bromley and Bexley, as part of Thy Kingdom Come (TKC) - a global movement of prayer which begins today 10 May, and runs until 20 May. It marks the traditional period between Ascension Day and Pentecost. An initiative of the Archbishops’ of Canterbury and York, Thy Kingdom Come invites people to take-up the Pledge2Pray challenge, asking them to pray for five people they know to come to faith, as well as for the transformation of communities. “We had everything from prayer walks to quiet days, prayer workshops introducing people to new forms of prayer, as well as 24/7 prayer rooms. There were traditional as well as creative expressions of prayer, and prayer events that brought different denominations and traditions together. During the 10 days, Rochester Cathedral itself became a giant visual prayer for the Diocese, with prayers and displays from across church communities, encouraging everyone to pray for the growth of God’s kingdom throughout the region. "The prayer for God’s Kingdom to come is the prayer for nothing less than the transformation of all things in Christ; the coming of that which is God’s ultimate intention and purpose for creation and for humankind. A Prayer Posada, at St. Mary’s Church Riverhead in Sevenoaks, where participants prayed for family and friends living abroad who are not church members and for the people of those countries.